A Rinkya Blog: Speed Racer Car At Detroit Auto Show! 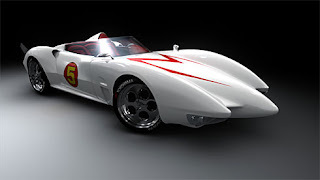 The live action film, Speed Racer, will be released May 9th and Mach 5 will make an appearance at the Detroit Auto Show. The show takes place January 19 to January 21 at the COBO Center in Detroit, Michigan.